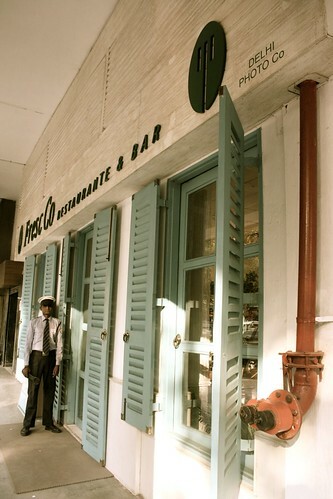 The other afternoon The Delhi Walla was walking in Janpath, Connaught Place. Reaching in front of an old landmark, I stood with amazement and then I laughed. 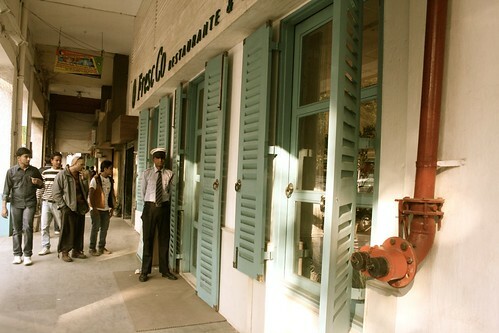 What used to be Delhi Photo Company was now a restaurant specializing in Mediterranean cuisine. 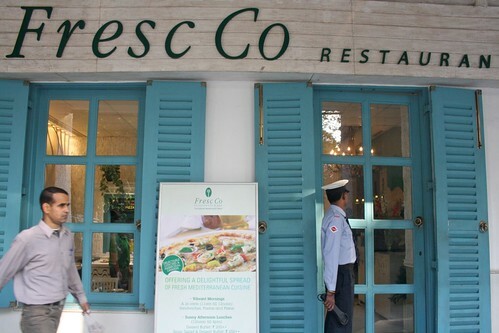 Fresc Co opened on September 22 2010. A photography studio that has survived the modern times. A 70-year-old shop is expected to wallow in its past. Yesterday must always be richer than today and tomorrow should be forever uncertain. If it’s a photo studio, the tragedy has to be weepier. After all, who needs to go to photo studios now? 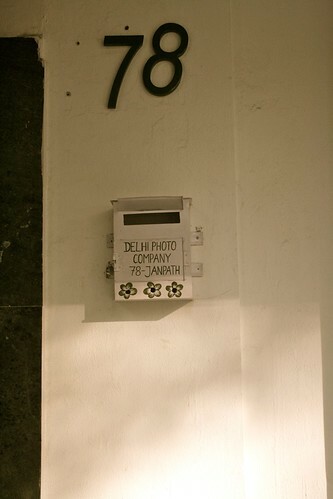 Delhi Photo Company should be no different. Here’s its stereotypical story: first Indian-owned shop in Janpath opens in 1937; specializes in portrait photography; the founder dies 27 years later; the son, the Germany-returned photography graduate, takes over; the grandson is now in-charge. Not many patrons. Photo processing machines rusting to decay. The new generation in the family has other distractions. So how it must end? Shut off the dark room lights and roll down the shutters. Well, a few tales can have different plots. In old times, Delhi Photo Company clicked portraits of Maharajas and Nawabs. It was the first official photographer of the President of India, as well as of Tribhuwan Shah, the King of Nepal. Alas, times change and today people prefer passport size pictures than 16″*20″ portraits. No problem. The shop does that and more. It exports t-shirts printed with tacky pictures and tackier slogans (sample: Taj Mahal – the biggest erection man raised for a woman). It also sells Yoga DVDs and classical music albums. Curiously, Maharishi Mahesh Yogi’s official website is managed by them. In fact, most of Maharishi’s pictures you might have come across have been shot by Delhi Photo Company. Lest we forget, it also prints your digicam pictures. But old ways have not been sent to old-age homes. “We still do processing of black and photographs manually”, says Ajay Shanker, the founder’s grandson. Mr Shanker has interesting plans ahead. He is all set to open an art gallery and café in the studio. “This space will be for aspiring photographers and artists with real talent in them”, he says while walking me round the beautifully lit soundproof gallery. 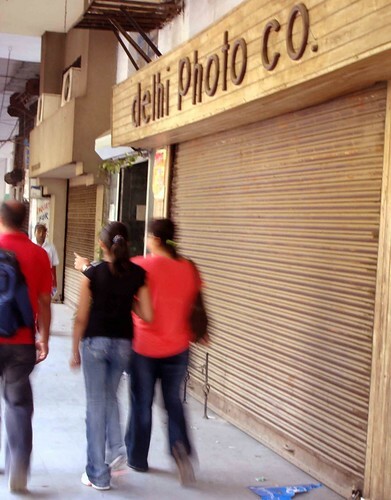 Delhi Photo Company will live on. Mr Shanker, where are you? In search of the lost landmark?